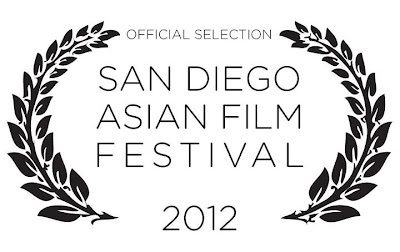 Mr. Chan Heads to the San Diego Asian Film Festival! Mr. Chan will be screening at the 2012 San Diego Asian Film Festival this November! The San Diego Asian Film Foundation (SDAFF) is one of the largest media arts organizations in North America that focuses on Asian American and Asian international cinema. The festival will run from November 1-9. Thanks so much to Brian Hu, the Artistic Director, and the entire team for having us! For more info, please visit www.sdaff.org! We have a couple episodes screening at the 2011 Ventura Film Festival taking place July 8-18! The Ventura Film Festival is the largest and most prestigious film festival in Ventura County with hundreds of films and other exciting parties and activities over a 10 day period each summer. The Ventura Film Festival is a 100% volunteer based charity event raising money and awareness for forest and ocean preservation and the environment. For more info, check out venturafilmfestival.org! Also, check out the new Mr. Chan: Misunderstood Man IMDb page! There's a movie poster (which I spent $35 bucks to add), cast and crew deets, and random quotes. Yes, we're somewhat legit now! Wooo!